Just because lawmakers were successful in correcting two Wake County districts that were unconstitutionally gerrymandered doesn’t mean they had to alter four more. That was the argument made Friday by Southern Coalition for Social Justice Senior Voting Rights Attorney Allison Riggs on behalf of the North Carolina NAACP, the League of Women Voters of NC, Democracy NC, the A. Philip Randolph Institute of NC and four individual plaintiffs. 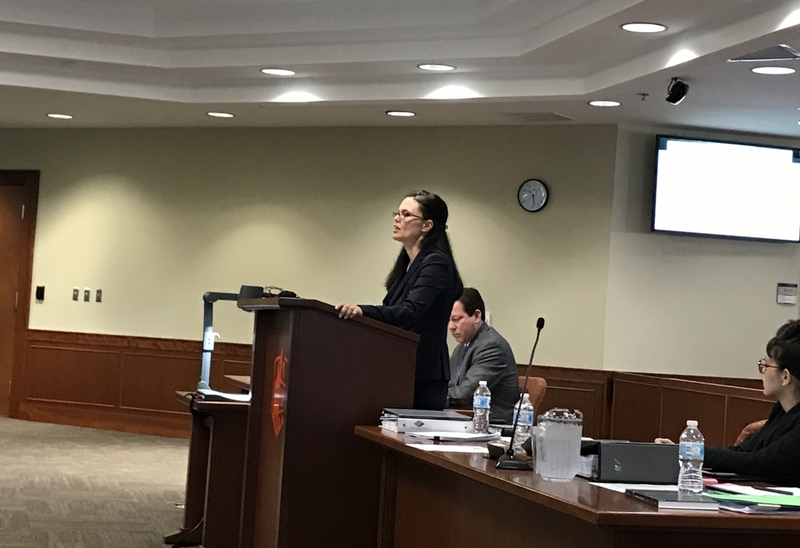 They are challenging the constitutionality of four state House districts in Wake County based on a state constitution prohibition on mid-decade redistricting. Riggs told the three-judge panel that absent a court order requiring the redrawing of the four districts in question, the state constitution requires them to remain unaltered. Phil Strach, the attorney representing the legislative defendants, argued that when lawmakers used race the way they did the first time around, that policy created a ripple effect in all the districts. To correct the gerrymanders, they had to err on the side of caution and correct all of Wake County, not just the unconstitutional districts and bordering areas. Strach said lawmakers corrected the federal issue of racial gerrymandering — it may not have been the best way, but it was their way, and the correction is what mattered most. The federal constitutional issues of racial gerrymandering stem from the North Carolina v. Covington case. Riggs took issue with Strach’s characterization of their case as Monday morning quarterbacking because she said lawmakers were told before submitting their districts they didn’t have to alter the four in question. Because of that, and because of alternative maps in evidence, the court, she reiterated, can conclude that lawmakers could remedy the two racially gerrymandered districts without altering the four in question. Riggs also pointed out that there is not a constitutional avoidance principle that allows them to ignore the case altogether as Strach suggested they do. “These plaintiffs have rights,” she said. The three-judge panel — Judges Paul Ridgeway, Joseph Crosswhite and Alma Hinton — took the arguments under advisement and indicated they planned to make a decision in the case soon.